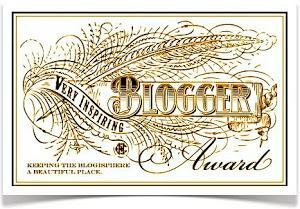 Those of you who know me will know that I’m known for not knowing how to play by the blog award rules and for writing horrible run-on sentences, so I may or may not pass this award on to 15 other bloggers at some point in a distant future. I will say, however, that Valerie’s blog is well worth your visit if you ever need a laugh or seventeen. Now, onward. We just purchased a 22-inch LCD monitor, so that my fiancee can work from home some days. Her laptop screen simply isn’t big enough to accommodate all those graphs, numbers and pictures of our future cats. Today the monitor arrived, accompanied by an utterly useless instruction leaflet that shows how to attach it to the base. Look, I’ve had my occasional lapses of logic previously, so I may not be one to talk. Really? Was this necessary? Come on, this instruction doesn’t tell us anything beyond what could be summed up in a sentence: “Attach the base to the monitor”. Nobody needs a three-step visual diagram for the easiest two-piece jigsaw puzzle in existence. There is only one detail of the above assembly process that may, hypothetically, cause some people issues: knowing which exact recess of the base the monitor fits into. Notice how the instruction leaflet does nothing to address that. Instead, it patronisingly tells us what we must already know. Have you come across similarly useless instructions? Instructions that were too complicated to understand? Wrong instructions? Instructions that defy logic? IKEA instructions, which can be all of the above? And how did my response to your response end up way up here? A mystery that will forever haunt our memories! That’s true. Do you know how many such deaths there have been? I have no clue, but I’ll estimate it’s at least in the millions. Statistical probability and I aren’t on the best terms. This was one of those posts that makes me feel better about myself. Thank you for the smile. Welcome, free smiles on the house! I’m particularly fond of instructions for things like toothpaste and chapstick – and other similarly complex products. Hey! Don’t knock them…you have no idea how many toothpaste and chapstick related deaths there have been! This reminded me of the old shampoo joke. A comedian said he was stuck in the shower for hours following the directions on the shampoo bottle: Lather, rinse, repeat. Ha! Pretty good. I wonder who rescued him at the end. We just got a new smoke/carbon monoxide detector, and it came with an instruction page measuring 19″ x 24″ that was filled with tiny writing. One of my favorite sentences was: “Do not connect this unit to any other alarm or auxiliary device”. Seriously? We usually just slap a battery in that bad boy and stick it on the ceiling. Apparently, there are a bunch of smoke alarm over-achievers out there. Ha, you can never have too many alarms and booby-traps in your house, that’s what I say. And thanks! Have you seen the Brian Regan (comedian) how to cook a Pop Tart bit? Not yet, but now that you told me I’ll make sure to do so! Oh Hey, congrats on the award! You have an excellent blog! Thanks! And yeah, always nice to add more pictures to the “awards” section. Having recieved the advice of “just slow down,” for screwing up simple instructions due to rabid dyslexia, I appreciate that you included the recipe. Yet I can still understand the lunacy of “do not swallow” on hemmroid cream. At least “do not swallow” is straightforward and truthful! Ha, I’ll have to try that recipe tonight! Sometimes, I swear, manufacturers think consumers are so stupid. It’d be insulting if it weren’t so comical! You have to follow my recipe to the letter, though! Otherwise it won’t work. Let me know how it goes. Hey, I just tried that recipe of yours and all I got was a plate of boiled noodles! Wasn’t the sauce suppose to magically appear or something? BOILED noodles?! See, you’ve made the typical mistake of putting water into the pot and turning the heat on. Nowhere in my recipe do I describe that step! As someone who is useless at constructing anything, I rather like the idiot-proof instructions. After saying this, I did think that the “do not swallow” instruction on my hemorrhoid cream was going a bit too far! Ha, I don’t even want to know, man. Yup, IKEA’s definitely drive me crazy! Welcome to the club – population: everyone! Yup, picture instructions can be tricky. With IKEA it’s a hit and miss – sometimes you have no idea which side you’re supposed to be using! Glad you like the recipe. If you run into issues I have a simplified, two-step one! Well, you can never be too careful these days! Those iPods are surprisingly tasty! Awesome, I can’t wait to make that recipe! Grab spaghetti noodles, bring them closer and closer to the pot, and ta da, it will all turn magically into Spaghetti Bolognese! Although I may have a few questions…hmmm. 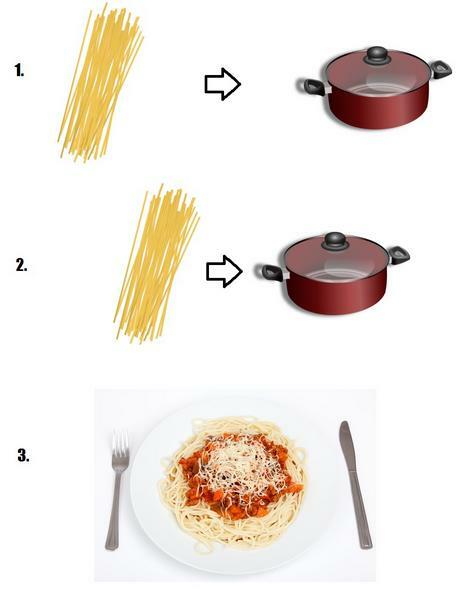 I don’t like the trend of many instructions being in picture form now. I would much rather read the words, but much of the time now, they don’t even give you that option anymore. It is easy and fun for the whole family, enjoy! 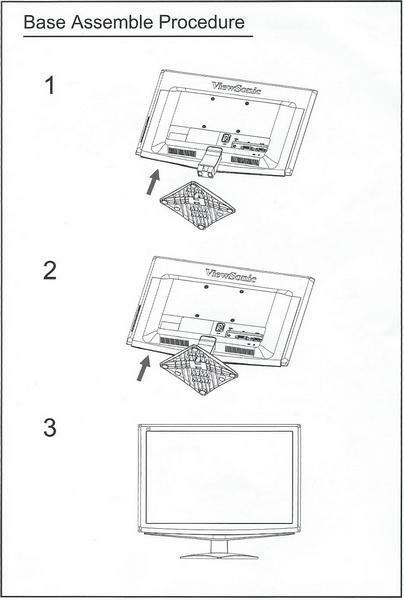 Yeah, I think IKEA pioneered this ‘picture instructions’ movement. At least IKEA’s actually detail what you need to know…most of the time. Hang on a sec. You’re getting cats!? Well played, Ella! Well played! Awwwwwww shucks!!! Thanks for the props!!! I cannot comment on the above. I come from a land that needs warnings on cups of hot things so that they don’t burn their crotch region. Damn idiots. Don’t forget warnings against putting your pets into microwaves! No, thank YOU for the award. Even though these blog awards are essentially chain-letters in disguise, it’s always nice to be included. Hey, a recipe even the men in my family could handle. Nicely done! Indeed. I’m glad you find the recipe useful. I’m going to release a book of these, ranging from food recipes to rocket building – all in three steps or less!